Former women’s national hockey team captain, K. Maheswari and her two children were counting their lucky stars as they escaped unscathed at the recent tragedy where a truck ploughed into a crowd watching the Bastile Day fireworks display on the Promenade des Anglias in Nice, France. 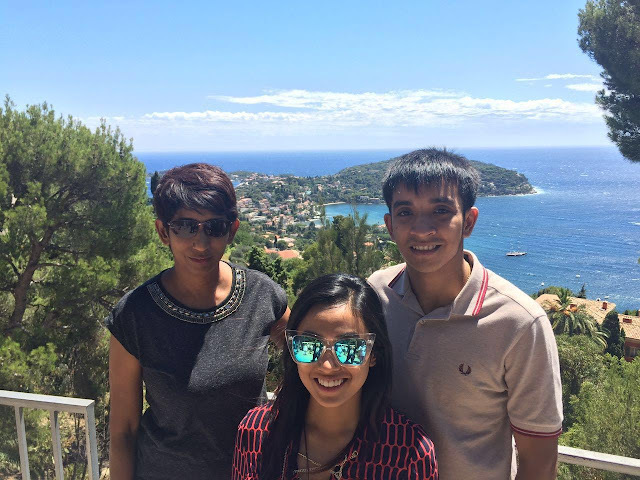 Maheswari and her two children Sheela 28 and Gautam, 24, were holidaying France and it was the last day of their four-day stop in Nice when they were encountered the mayhem following the harrowing incident occurred. “We had gone to the Promenade to watch the fireworks and were at the beach which is a walk down the staircase from the Promenade proper,” recalled Maheswari, the Group Chief Regulatory Officer with K & N Kenanga Holding Berhad. “We had some food and drinks and were watching the fireworks in the crowded beach which lasted 15 minutes and ended about 10pm. We then walked up the stairs to head to the Promenade where there were a sea of people. We found our way to the other side of the Promenade which was just about five minutes’ walk and suddenly everyone started running helter-skelter and screaming. “We did not know what was happening but imagined the worst and started to run too. I had to pull my son who was getting lost in the confusion and grabbed the hands of both my children as I did not want to lose them in the mayhem. Maheswari said they were afraid and not knowing what was happening outside made it even more frightening. “We just prayed for our safety and getting out of the place. We were holed up in the kitchen for a good 45 minutes. “The one of the staff said people were walking back from wherever they had sought shelter and asked us if we wanted to leave. “At first we were reluctant but as we looked out and some many people walking away, all of us decided to do the same. Maheswari said when they were back at the hotel, they switched on the television and there was no news of the mayhem at the Promenade. “We then started to surf the internet and it was then that dawned upon us what had happened. “We were shocked but relieved that we were safe. Maheswari said she immediately decided to cut short the family’s annual holiday and return home. It was the second time Maheswari had to cut short their holiday trip. Earlier, Maheswari and her children were in France for the Euro 2016 and had to cut short her trip as her mother-in-law had passed away in Klang. Maheswari said it was the first time that the family had planned to go to several places in France and somehow it did not work out well. “I have been to Paris and always wanted to see the rest of France. But after what had happened – having to cut short my trip twice – I have vowed never to go back to France because it is full of bad memories.